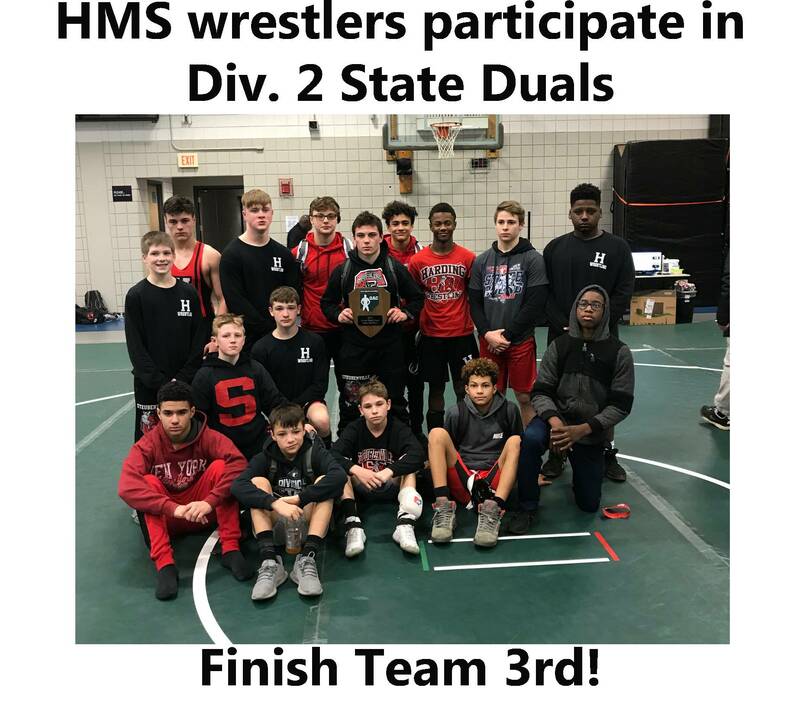 Click on image for complete wrestling statistics for all HMS wrestlers. 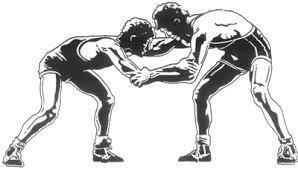 The Harding wrestling team had another successful season this year, placing 1st at the Martins Ferry and Buckeye Local wrestling tournaments, as well as 2nd place finishes at Oak Glen and The Ohio Valley Junior High Championships. Harding also had a 6th place finish out of 40 teams at the Cambridge Open, which is home to one of the toughest junior high wrestling tournaments in the state of Ohio. Multiple wrestlers placed at all the tournaments throughout the year with 8th grader Ethan Waggoner leading the way. Ethan finished with an undefeated record and placed 1st at every tournament to go along with a Most Outstanding Wrestler award at the “Best of the Midwest” tournament in Philo, Ohio. 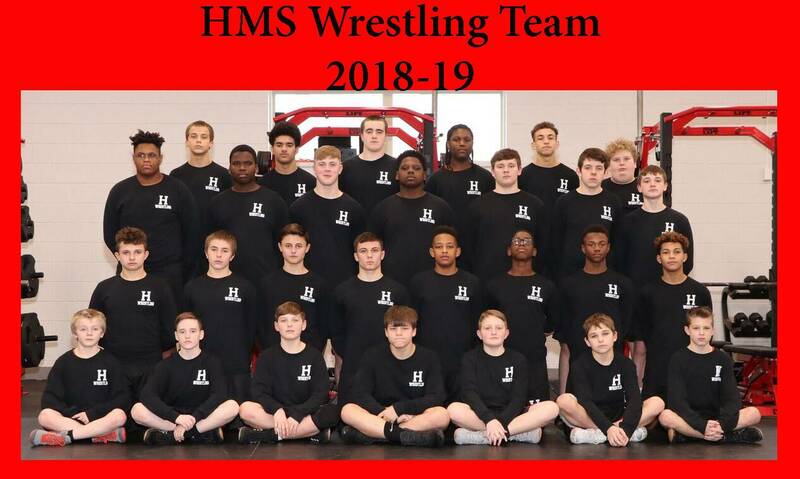 Other 8th grade wrestlers finding success this season were Jordan West, Kaiden Minella, Hakim Edwards, Kingston Reynolds, Tylik Sims, Cooper Blackburn, DaShon Seditz, Bryce Benton, Spenser Ostovich, and Bryce Huff. Three wrestlers were also able to qualify for the Junior High State Wrestling Championships in Youngstown on March 16th-17th. Ethan Waggoner (1st), Cal Beadling (1st), & Spenser Ostovich (2nd) will all have a chance to compete for an individual state title. 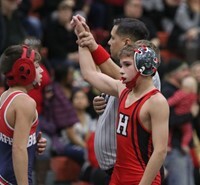 At the end of the season, the Harding wrestling team was chosen to compete in the Ohio Junior High State Dual Championships at Thomas Worthington High School in Columbus. The top 8 teams in Division II (based on their High School affiliations) competed for a chance to win a team state championship for their school and Harding captured 3rd place. The team went 3-1 in the duals with wins over Bexley, Poland, & Medina Buckeye.